a normal printer head clean can not. check pattern and identify and missing or misaligned lines as pictured below. Missing lines can be caused by an air pocket or a blocked print head. To identify the cause perform a head cleaning cycle followed by a further nozzle check. remain constant then the issue is possibly due to a blocked print head. Print head blockages can be caused by a variety of different issues. The most common cause is dried ink inside the head. If the issue appears to be a blocked print head you will need to clean the print head. Full Instructions provided with purchase. 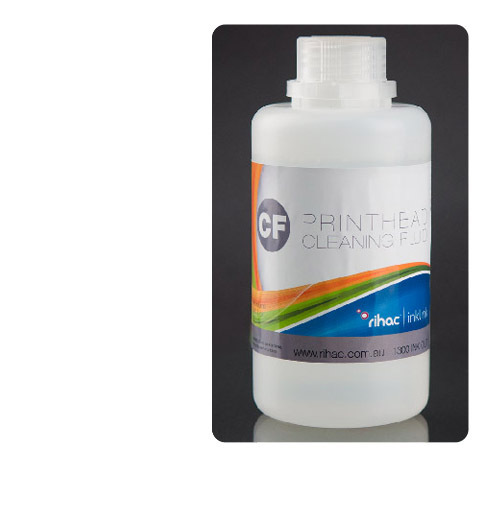 Please note with Large Format Printers you will need a cartridge to use the cleaning fluid.